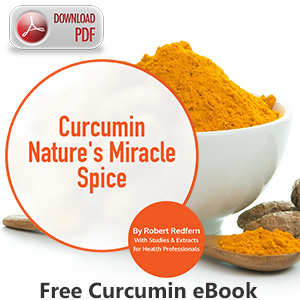 Curcumin fights inflammation effectively and without side effects. Inflammation is no more apparent than its manifestation through arthritis, making Curcumin and arthritis an essential combination. Arthritis hits many of us as we age and is painful and often debilitating. One of the most common resources for arthritis sufferers in the past has been to take some form of nonsteroidal anti-inflammatory drug, frequently known as an NSAID, e.g., ibuprofen, aspirin or naproxen. Unfortunately, there are a multitude of harmful side effects associated with taking NSAIDs for relief. The most common ones include: nausea, vomiting, diarrhea, constipation, decreased appetite, rash, dizziness, headache, drowsiness, and gastrointestinal bleeding. Taking Curcumin for arthritis works a little differently than taking NSAIDS to relieve the inflammation. NSAIDs relieve inflammation by hindering the ability of the enzyme COX-2 to create inflammation. Along with that, the COX-1 enzyme is also inhibited. COX-1’s job is to keep the lining of the digestive tract and blood vessels intact and safe. When this enzyme can’t do its’ job, ulcers may occur and blood vessels may leak. 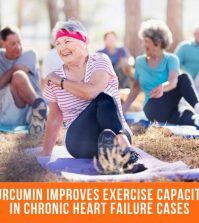 Curcumin for arthritis relieves pain and inflammation by working on the COX-2 enzymes too, but at the same time preserves healthy levels of COX-1 enzymes. 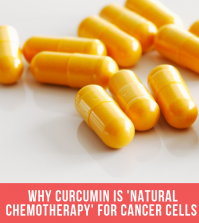 Curcuminoids are a natural source of anti-inflammatories and are every much as strong and effective, if not more so, than steroidal and non-steroidal drugs, just without all the unwanted side effects. NSAIDs were reduced by over 60% when people suffering from osteoarthritis of the knee were given Curcumin for arthritis. An unexpected side effect? C-reactive protein, (CRP) a marker for inflammation and cardiovascular health, was dramatically reduced; 16 fold! Where does all this inflammation come from in the first place? Inflammation is a result of a complicated series of events: actions and/or reactions, to tissue damage. This kicks the body’s immune system into action. This tissue damage can be caused by any number of physical traumas, including surgery and disease. While all inflammation is not bad, some of it is essential for the healing process, chronic inflammation leads to chronic disease, arthritis being one of them. 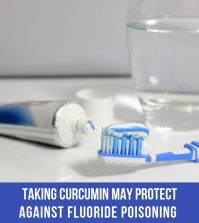 When Curcumin’s anti-inflammatory properties were tested in a clinical trial, patients with rheumatoid arthritis experienced dramatic improvement. The therapeutic effects were comparable to those obtained with phenylbutazone, a powerful anti-inflammatory prescription drug. 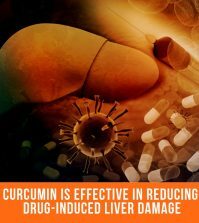 Curcumin is not just for inflammation anymore either. It has been shown to actually help prevent cartilage from breaking down, therefore keeping arthritis from progressing. Kulkarni RR, Patki PS, Jog VP, Gandage SG, Patwardhan B. Treatment of osteoarthritis with a herbomineral formulation: a double- blind, placebo-controlled, cross-over study. J Ethnopharmacol. 1991 May-Jun;33(1-2):91-5. Arora RB, Basu N, Kapoor V, Jain AP. Anti-inflammatory studies on Curcuma- longa (turmeric). Ind J Med Res 1971 Aug;59(8):1289-95.